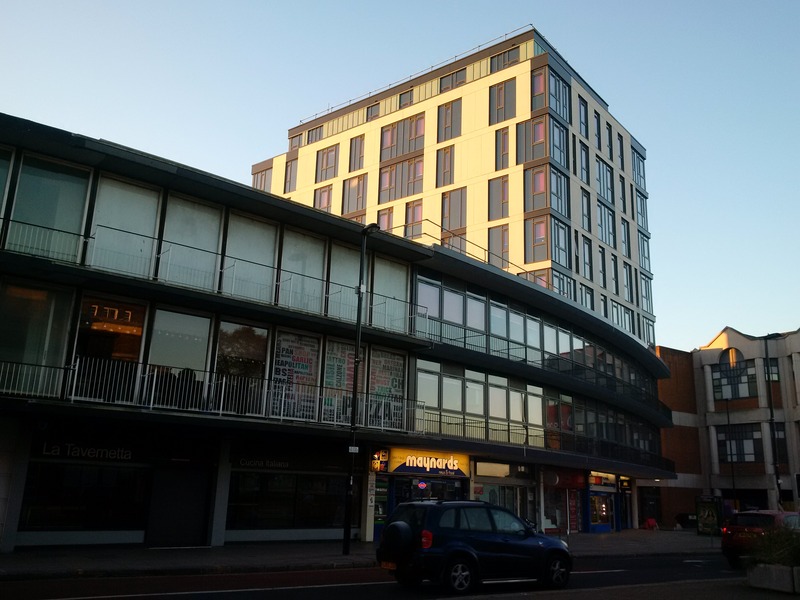 Marland House forms part of a commercial development along Civic Centre Road with shop units at ground floor level, offices/storage at first and second-floor level and offices within a tower above this on 5 further floors. 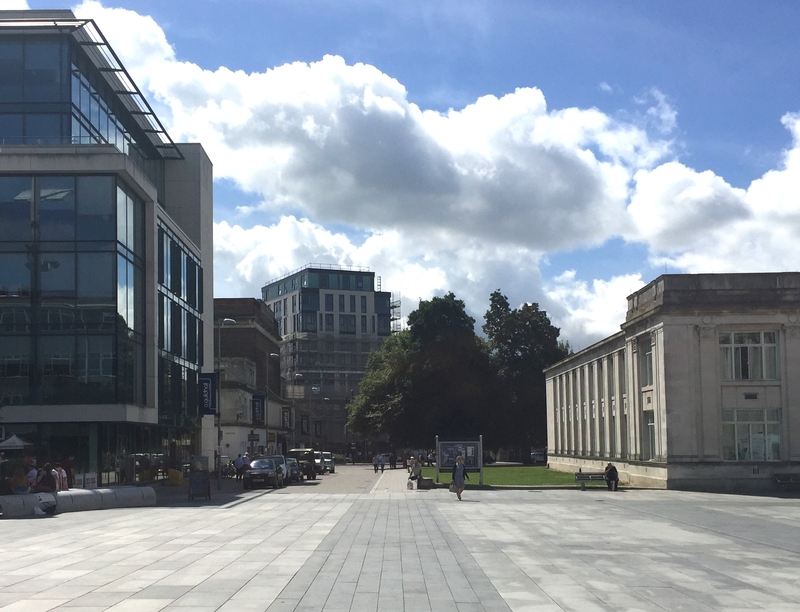 Marland House comprises two distinct elements; the three-storey podium, which extends all the way along Civic Centre Road, and the tower element which itself has a set-back top floor distinct from the floors below. The façade design now looks dated and is not considered to be a particularly good example of modernist design. 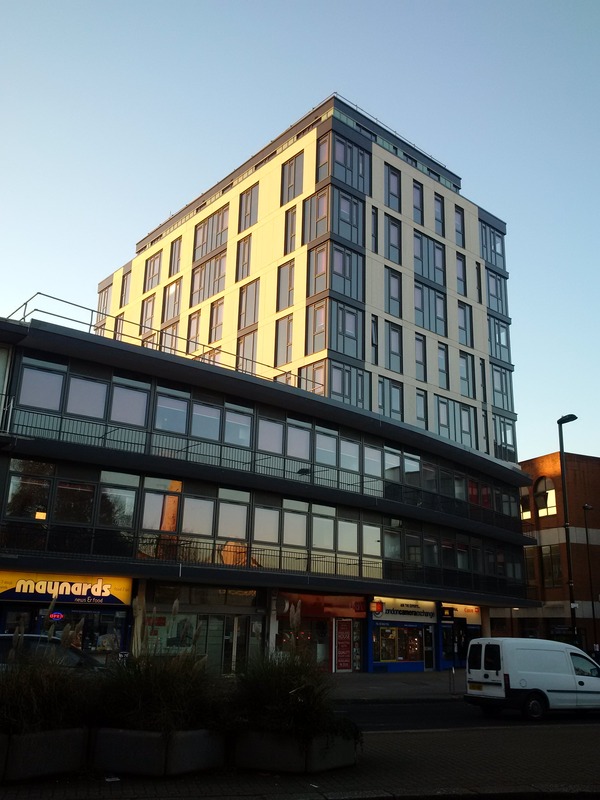 For the original design work, the Client requires the provision of self-contained studio-style student flats with associated communal facilities which lead to the change of use approval. Bedroom sizes were to be approx. 18m2 with a small number of larger flats arising from the original building shape and in some cases purposely for accessible units. 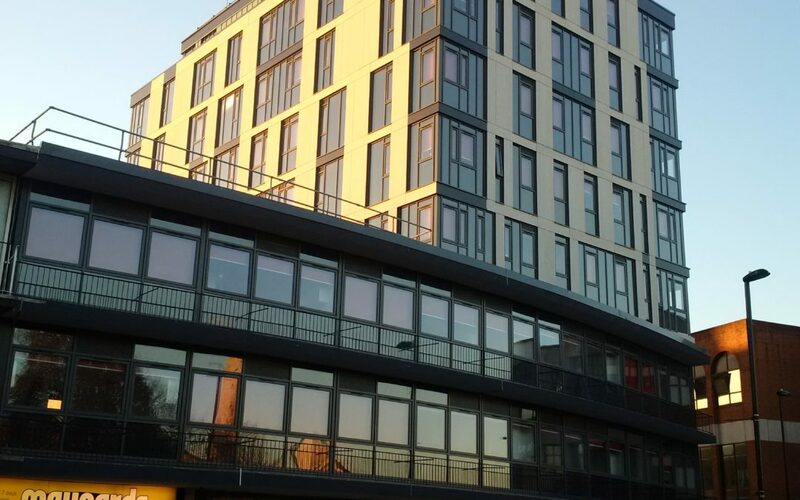 The design brief for the cladding re-design was to achieve a façade that suited the more cellular nature of the internal layout for student accommodation (as compared to the original open-plan offices), combined with requirements for thermal, natural ventilation and acoustic design and provided a fitting architectural statement for the building’s context.